Inversion – a light version of Rollercoaster? Inversions are all those Yoga poses in which we are basically upside down. Many people are afraid of inversions – we are not bats, so it’s completely understandable! We have not got used to feeling natural with the head facing downwards 🙂 However, step by step, in inversions we can find not only comfort, but real pleasure, excitement and fun! As on a rollercoaster! Still looks like a mission impossible? Hold on! You don’t have to be gymnast to experience and enjoy unquestionable benefits of inversions! From plenty of variations, we can choose poses which increase relaxation, mind balance and peace, as well as the ones which might be even seen as an extreme experience! Inversions have a long list of physical benefits! Of course they help to build strength; it very depends on the particular Yoga pose, but in general the most engaged parts of your body are arms, back and abdominal muscles. You will also be surprised by the importance of legs in keeping the body in balance! What is crucial and never said about the inversions, is how they deepen ones understanding of their own body! Let’s take for instance the forearm stand; everything is new and unnatural, we need to maintain focus and awareness to not fall. It shows us very precisely how body works, and how we can play with it. And it’s funny, but what often inversions change are our standing positions! Yes – we finally realize what really means to straighten up! The other benefit is circulation improvement; when we are upside down, gravity pulls the blood from lower body back to heart. Oxygenated blood travel through the veins to nutrient our sensory organs and brain. I always imagine that blood also goes to my face to protect it from wrinkles, but please – take it as my personal “observation” or a “wish” 😉 – no scientist has ever said that! Same as with the blood, inversions help the lymph flow. We can imagine lymphatic system as a refinery – all these dirts like excess of proteins, bacteria and toxins, are taken to the lymph nodes and to be destroyed! We want our lymphatic system to be efficient! As it’s parallel to the blood system, and also require muscle action to be “pumped”, inversions increase work of the lymph. Leg pain, swollen ankles and feet – sound familiar? If the answer is “yes”, inversions are calling your name! As I mentioned before, we have a great selection of inversions. Pure energy needed? 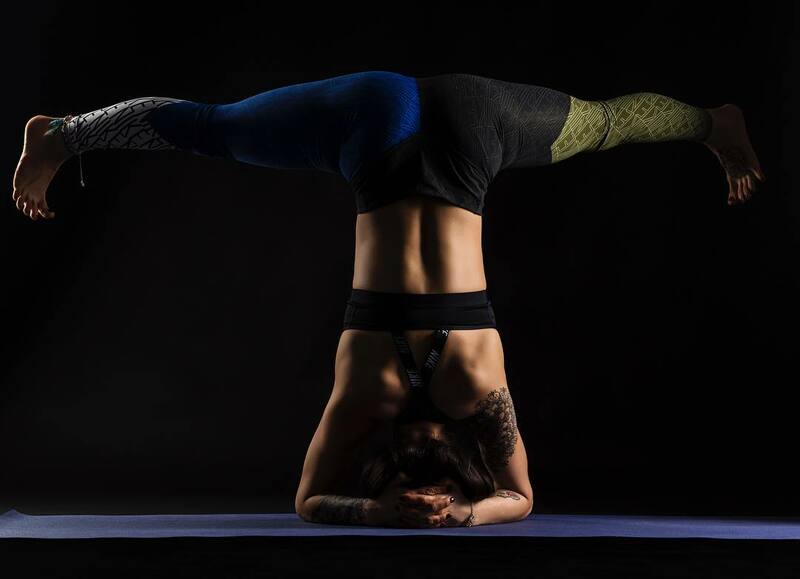 Go for poses such as headstand, or handstand! These inversions create heat in the body which automatically kindles our inner fire! Result? – extra power! Believe me or not, but most of people feel real excitement before advanced inversions practice! Too much fire can be reduce by right amount of water – same here! Counter poses for previous ones are shoulder stand or legs up to the wall – which, in opposite, calm down. So if you have a stressful time, insomnia or just need to relax, those will be the choice! All inversions help concentration and memory, as they carry oxygenated blood directly to the brain. Advanced inversions are a great confidence booster. Because of their difficulty, each – even little – progression brings us pride and reminds how awesome we are! The way to perfection may also seem to be hard – you would have to face some falls before you can finally stand on your head. It also takes a lot of time to learn them – here character traits such as humility and perseverance are enhanced! Lack of proper technique is a shortcut to an injury! Please, keep in mind that advanced inversions require experienced teacher tips and support. Rome was not made in one day – give yourself time, no rush! Also notice that high blood pressure or eye problem may also be a subject to discuss with your doctor before you decide to practice. As Yoga is an individual path, all Plus Performance Yoga plans are personalized and designed according to student’s needs. Safety always first! Ups and downs are a part of existence. Sometimes we are so afraid of falling, but when it finally happens to us, we realize that fear made us overestimate the actual risk. Inversions give us opportunity to see the world from a different point of view, both – physically and mentally! Life is a rollercoaster, you can pray and count till the ride is over, or enjoy it! So don’t limit yourself, be brave and start Yoga now!